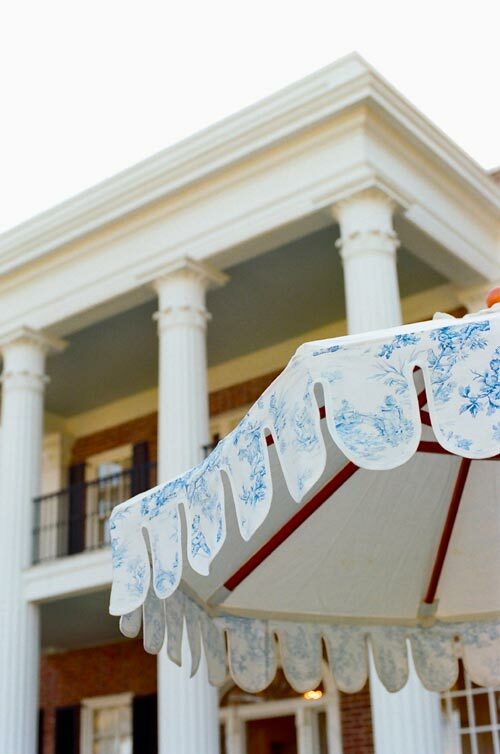 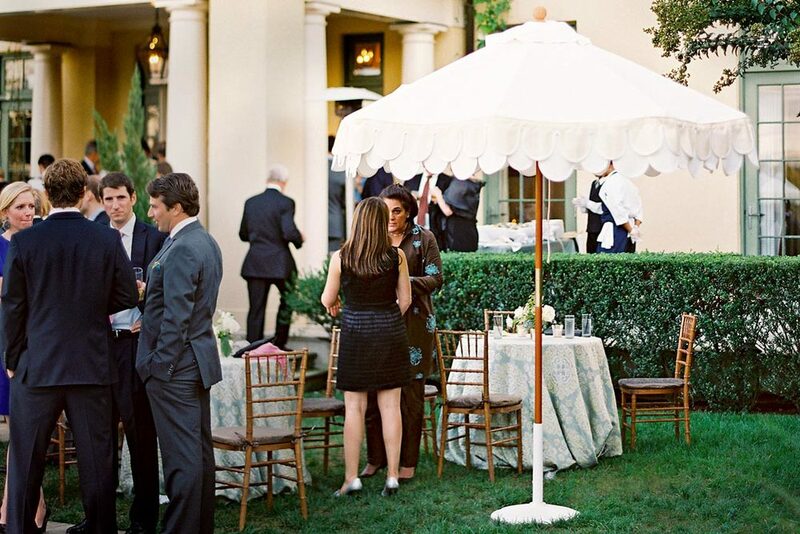 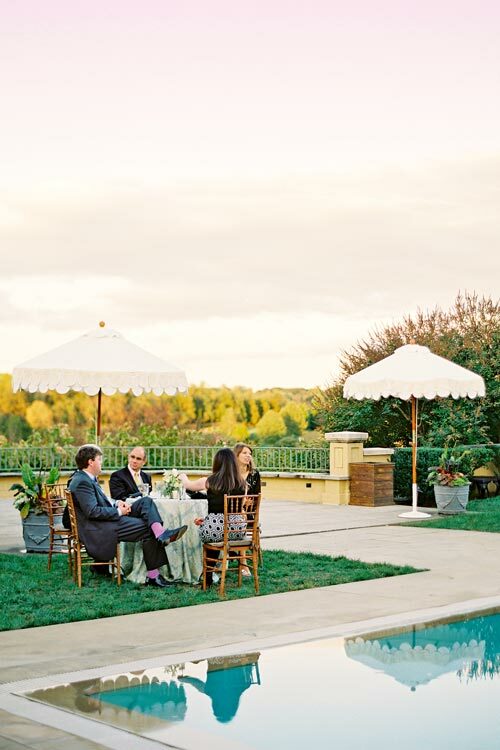 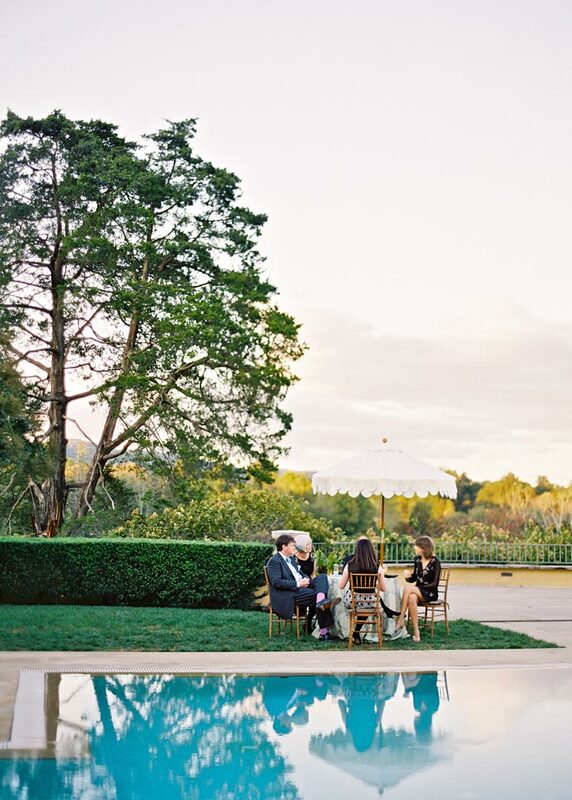 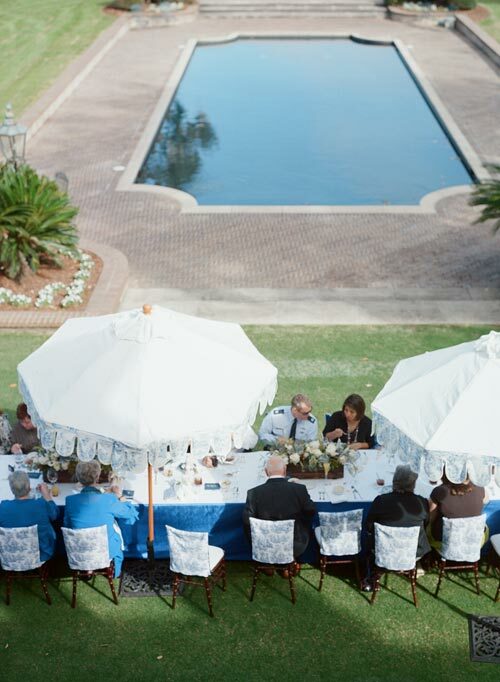 Custom Cocktail Umbrellas are bespoke made to order, and the valance styling as well as fabric and trim can be selected to echo and complement the look and aesthetic sensibility of your event. 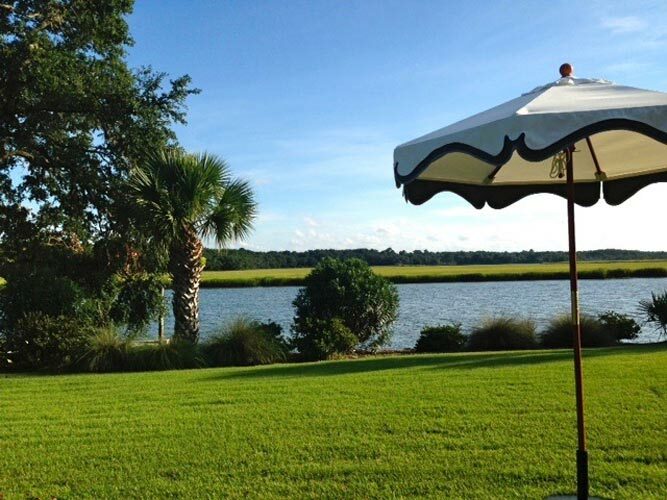 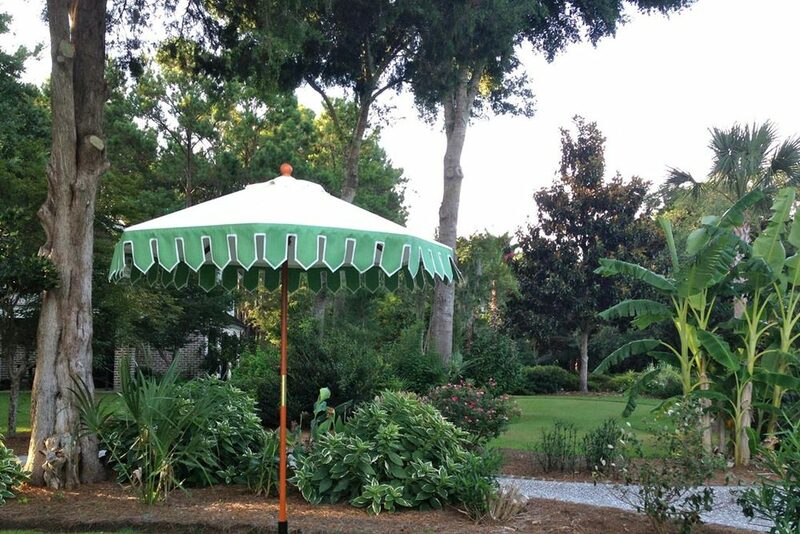 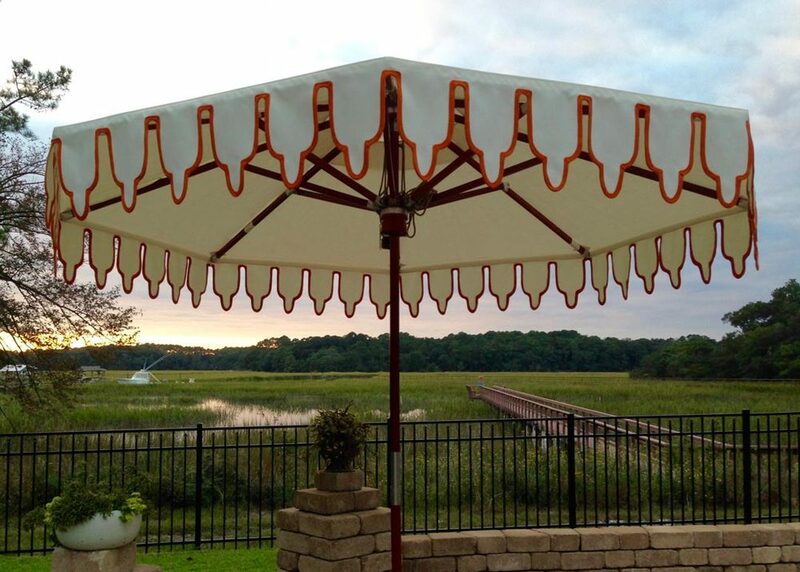 The perfect umbrella for weddings, events, parties, resorts, backyards and life. 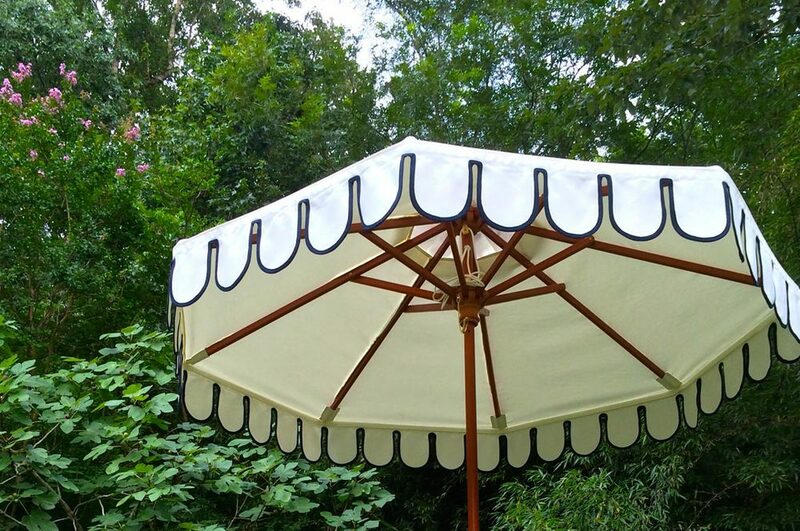 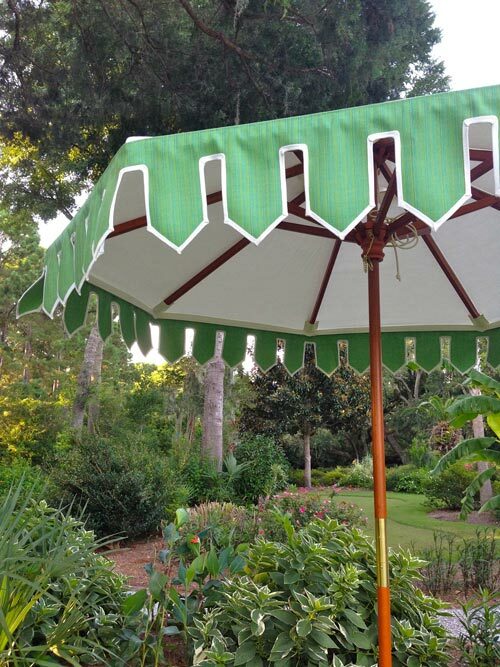 To our Custom Cocktail Umbrellas, we bring the same level of intricate detail and meticulous workmanship as is found on our tents. 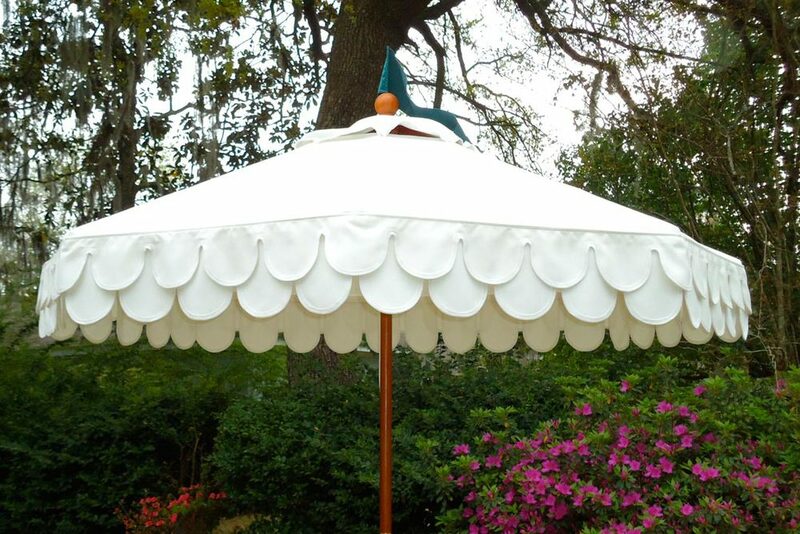 Each umbrella is a bespoke creation made to order, and the valance styling as well as fabric and trim can be selected to echo and complement the look and aesthetic sensibility of your particular event. 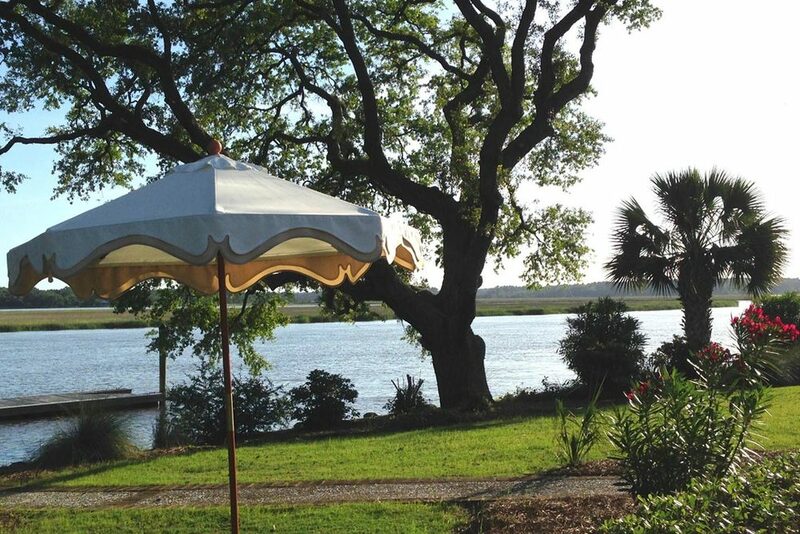 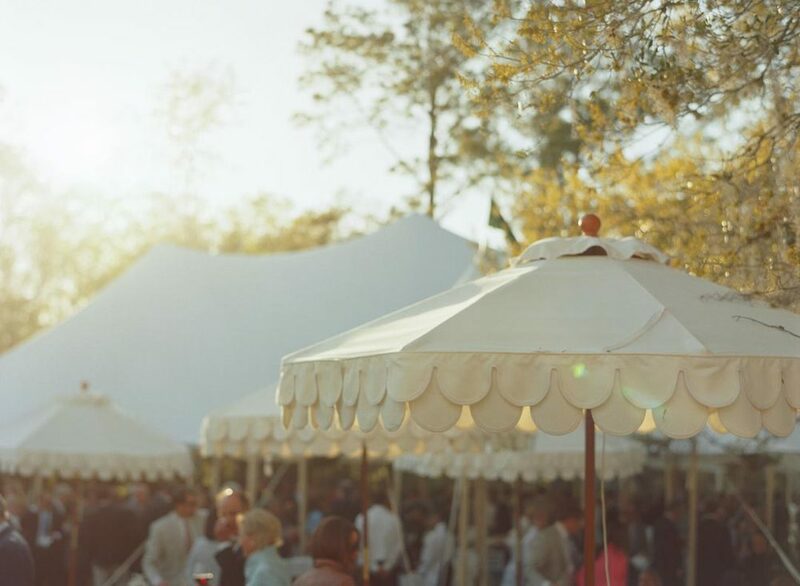 As with our tents, we offer our umbrellas in a variety of outdoor fabric choices. 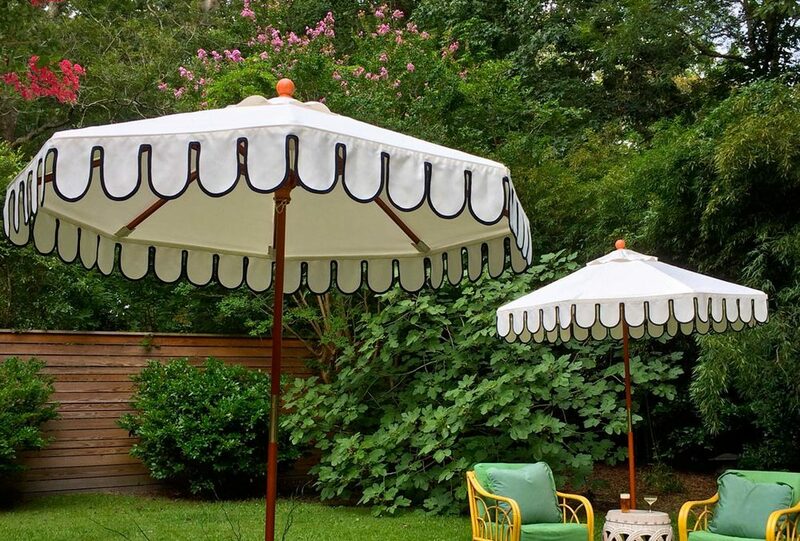 They lend a most lovely and welcome addition to any garden, terrace or poolside vignette.